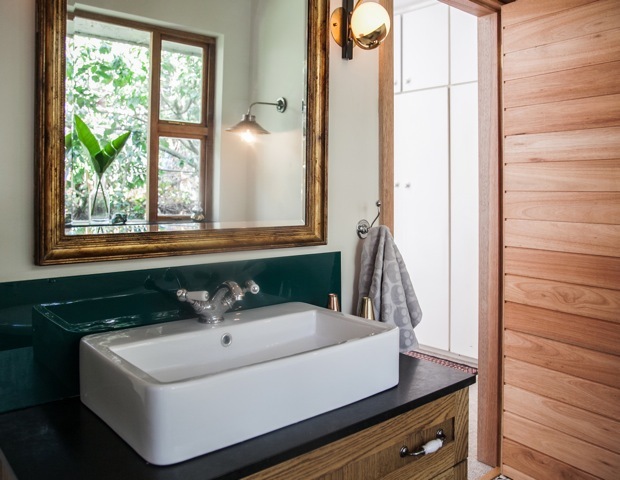 The bathrooms of this home, set in a beautiful green oasis in Newlands forest in Cape Town, were very dark and poorly laid out. 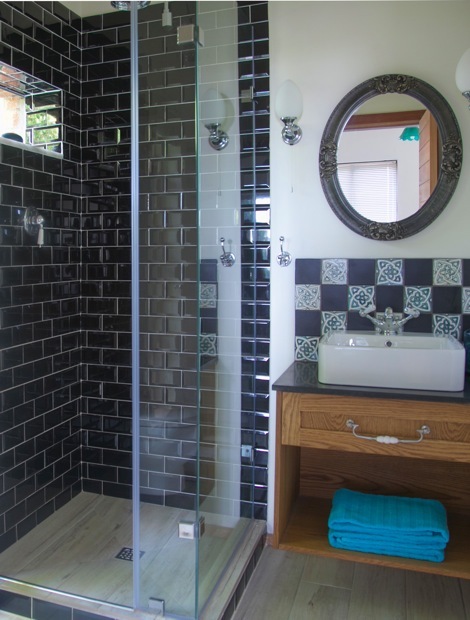 We changed all that and by the end of the project even managed to add another bathroom in the space we had. We also added new engineered ‘wormy chestnut’ flooring in the passage and relocated a bedroom entrance. 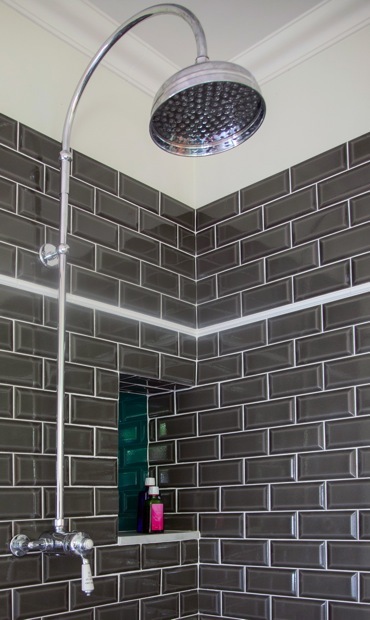 Our client was very exciting to work with as she has fantastic style and a good understanding of colour and design. 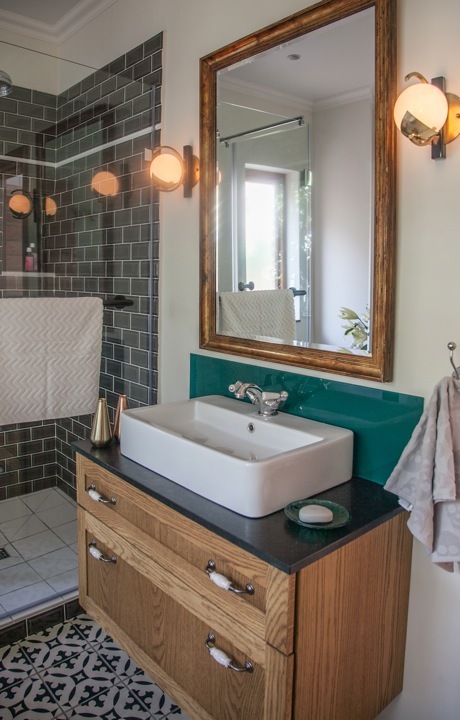 The unusual art deco lights in the main and children’s bathrooms come from New York and are the client’s own. 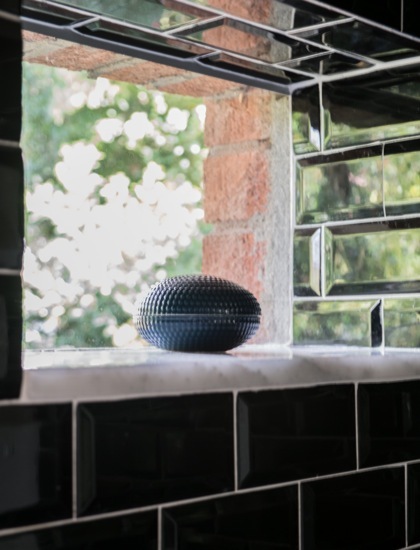 We created a successful mix of classic design by using a traditional style brassware and combined this with simple modern basins and clean finishes. 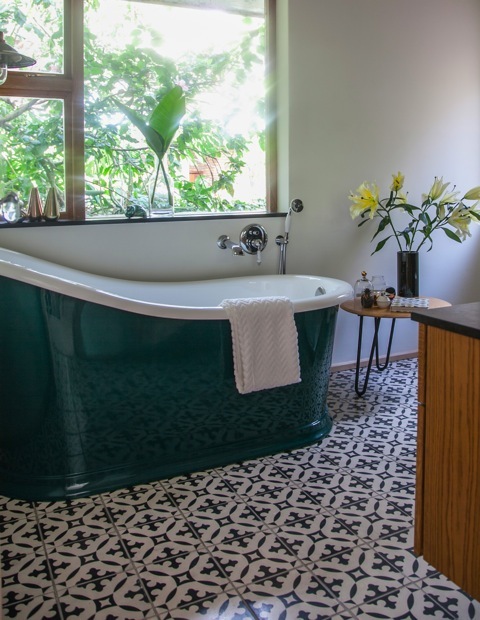 The green bathtub was made up specifically for this project reflecting and working so well with the green foliage seen through the windows. 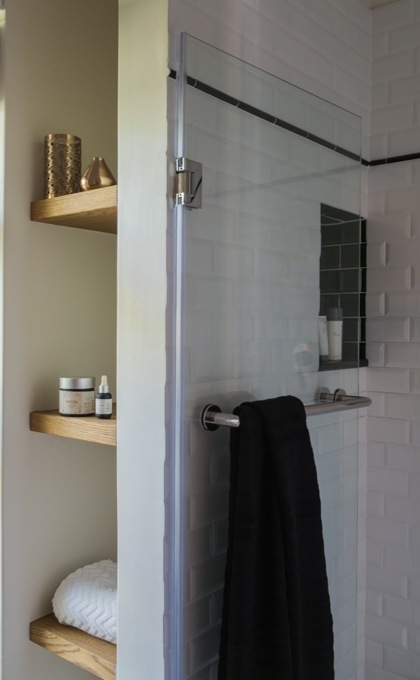 A number of the accessories were also customized in a black finish to complement the stained oak vanities and black granite tops.